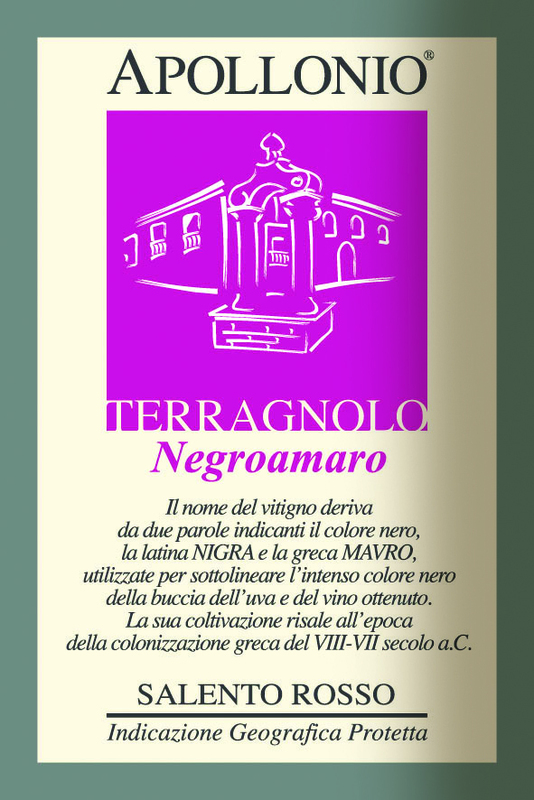 Dark ruby red in color, ‘Terragnolo’ Negroamaro has intense aromas of blackberries, with hints of cherry and some spice on the finish. Soft and round on the palate, full bodied and well-balanced. 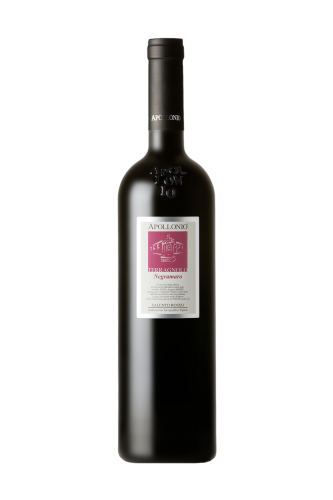 It pairs well with hearty roasted meats, game, rich pasta dishes. 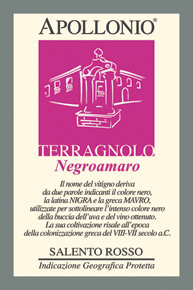 The name Terragnolo comes from the Italian word terra because the bush vines are kept short and close to the ground.